Drinking a bottle of wine a week increases the lifetime risk of cancer by the equivalent of smoking five to 10 cigarettes, research suggests. 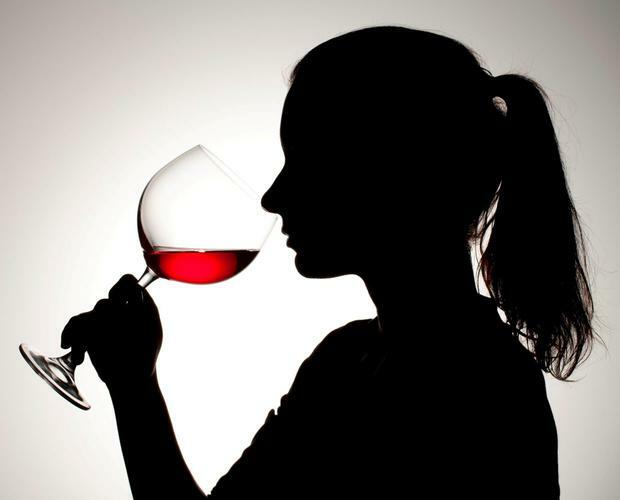 For women, drinking one bottle of wine per week increases the absolute lifetime risk of cancer to the same extent as smoking 10 cigarettes a week, mostly due to an increased risk of breast cancer caused by drinking. For men, drinking a bottle of wine a week increases the absolute lifetime risk of cancer equivalent to smoking five cigarettes. This is due to the risk of cancer in parts of the body such as the bowel, liver and oesophagus, according to the team of researchers from the University Hospital Southampton NHS Foundation Trust, Bangor University and University of Southampton. The team estimated that if 1,000 non-smoking men and 1,000 non-smoking women each drank one bottle of wine a week across their lifetime, around 10 men and 14 women would develop cancer. And if 1,000 men and 1,000 women drank three bottles of wine a week, around 19 men and 36 women could develop cancer as a result. The team said three bottles a week is equivalent to smoking roughly eight cigarettes a week for men and 23 cigarettes a week for women. Writing in the journal ‘BMC Public Health’, the team said alcohol is generally perceived by the public as being far less harmful than smoking, despite being directly linked to several different types of cancer. In terms of absolute risk, the researchers said one bottle of wine a week is associated with an increased absolute lifetime cancer risk for non-smokers of 1pc (men) and 1.4pc (women). Dr Theresa Hydes, who worked on the study, said: “It is well established that heavy drinking is linked to cancer of the mouth, throat, voice box, gullet, bowel, liver and breast. She added: “We must be absolutely clear that this study is not saying that drinking alcohol in moderation is in any way equivalent to smoking. Our finds relate to lifetime risk across the population.